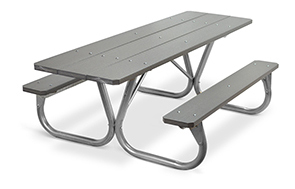 The Park Chief Recycled Plastic Picnic Table comes with a galvanized frame fabricated from 1/10" thick (12 ga.) steel plate. 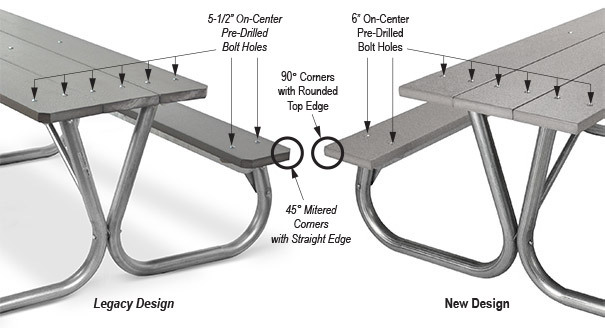 This special reinforcement will easily support the heaviest loads and yet still maintain the integrity of the recycled plastic seats and tops. 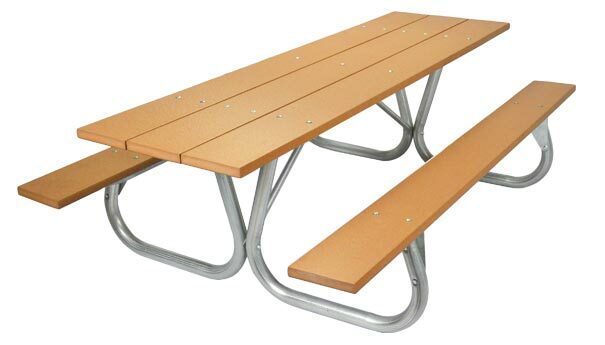 Seats and tops are pre-drilled for accuracy and are constructed of 100% recycled plastic. 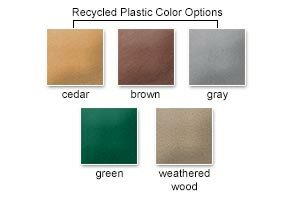 Three different color options are available and shown below. 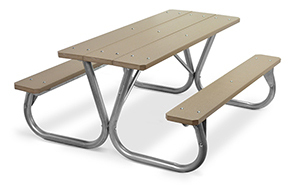 Picnic table lengths are available 6' and 8', as well as a Universal Access ADA model with 2 sides overhanging. Some assembly required.